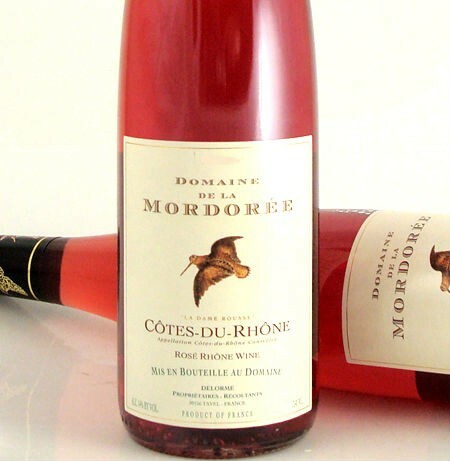 Domaine de La Mordoree is responsible for some of France's very best Rosés. Year after year they turn out aromatic, exotically scented, dry and complex Rosé wines that are now among our most eagerly awaited arrival each summer. The 2017 La Dame Rousse Côtes du Rhône Rosé is made from the traditonal regional varieties; Grenache, Syrah and Cinsault. One of the finest Rosés from southern France, it exhibits copious amounts of red liquorice, lavender, strawberries, black cherries and a hint of Provencal herbs. du Rhone Rose La Dame Rousse is another top example of this cuvée. It offers raspberry, pear and melon flavors, a plump, medium-bodied mouthfeel and a long, citrusy finish. Crisp and clean, it should be consumed over the next several months."